Dubai, UAE, May 23, 2018: Finding the right gifts are never easy, especially when you are on a budget. If you are browsing the web and scouting stores for beauty gifts this Ramadan & Eid, consider Glambeaute.com, the one-stop online shop for fabulous budget beauty finds and luxury perfumes at great prices! This month, Glambeaute.com is launching a curated collection of beauty gift boxes that include best-sellers in skincare, haircare and makeup at amazing discounted prices. These limited-edition promo packs are available to purchase throughout the month of Ramadan and make for wonderful pamper packs for yourself or as impressive gifts for beauty lovers this season that will surely impress! And for the icing on the cake, you can avail up to 50% as instant cashback on all your purchases. If that isn’t good enough reason to start your Eid shopping at Glambeaute.com, then what is? 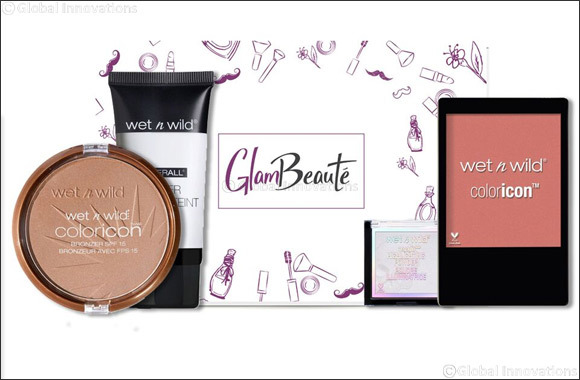 This glam exclusive Wet n Wild pack includes everything you need for a natural yet flawless look. Color Icon Blusher in Mellow Wine. This special pack includes three essentials to create a glam look for Ramadan nights or Eid outings! The pack of lip products includes must-have colours for the season! These hair packs include Frank Provost’s best-selling Oleo and Keratin Collections for soft, shiny and healthy hair! This pack from T-Zone is the ultimate must have for naturally purifying skincare to treat and target skin prone to impurities and blemishes. Included in this pack is Swiss Image’s Whitening care range with Alpine Glacier Water and Botanical White-Ten Complex that help inhibit skin pigmentation, lighten skin tone and reduce the appearance of dark spots and blemishes. This collection of products makes your skin radiant, revealing its inner glow.